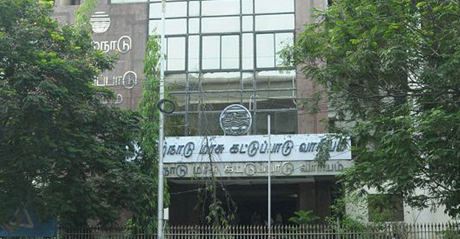 An announcement has been released that 224 vacancies of different posts (for candidates who have completed BE) are to be filled up in the Tamil Nadu State Pollution Control Board. An announcement has been released for the recruitment of special officers in 120 vacancies in the Industrial Development Bank of India. (IDBI). The Tamil Nadu Public Service Commission (TNPSC) has announced for the recruitment of vacant posts of Drug Inspector, and Junior Analyst in the Department of Medical Services and other posts related. The Head Office of the Chennai Army Recruitment has informed that candidates interested in joining the Indian Army can apply online before 18th May. Are you a 10th Standard passed candidate? Job in Tamil Nadu Forestry Department with Rs. 50000 per month! An announcement has been released regarding the recruitment for the 129 vacant posts of Specialist Officers in Syndicate Bank. Applications are invited from the eligible and interested candidates. Urgent Opening for Android Developer Walkin Interview in Chennai now. A total of 814 vacancies for Computer Instructor posting with the government schools is available. And the Tamil Nadu Teachers Recruitment Board has called for applications.